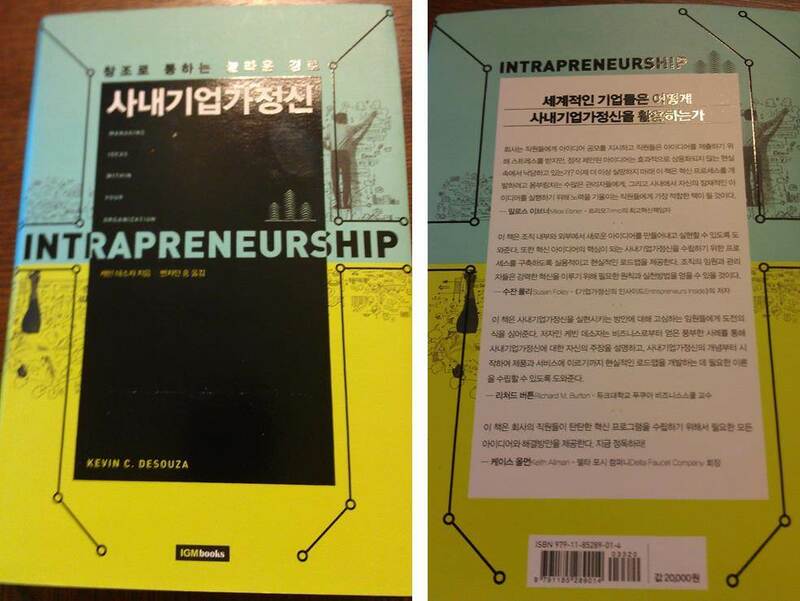 The Korean Edition of Intrapreneurship: Managing Ideas Within Your Organization (University of Toronto Press, 2011) was just published by Institute of Global Management. 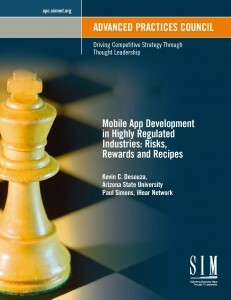 T he Advanced Practices Council of the Society for Information Management has just published my report, Mobile App Development in Highly Regulated Industries: Risks, Rewards and Recipes. 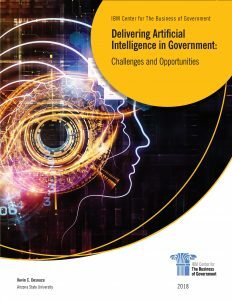 I co-authored the report with my former graduate student, Paul Simons, who serves as the CEO of iHear Network. Mobile computing has the potential to be as disruptive to the status quo as the Internet in the 1990s or the Model T in the early 20th century. A driving force behind mobile computing is the adoption of mobile apps, which increase revenues through new and refined business models, greater brand awareness and customer loyalty, and tools that increase employee productivity. 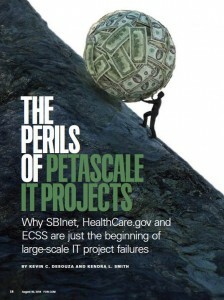 However, not all organizations that launch mobile apps end up with successful products. The rewards may be lucrative, but there are risks of entering the marketplace with new products. In highly regulated industries, the risks are compounded by additional constraints for developing mobile software related to protecting and communicating information. Firms in such industries must implement comprehensive security solutions that go beyond standard industry regulatory systems. Since regulations always lag behind technological advancement, organizations must anticipate how their actions might trigger future legislative responses and the impacts on users’ expectations of privacy and trust. Another risk that stems from rapid growth of mobile software is the reduced barrier to entry for emerging companies, especially from startups that circumnavigate existing regulations on the use of mobile technology. Due to the rapidly changing nature of mobile apps, design thinking has emerged as a methodology to help guide an organization through the process of developing mobile apps. Traditional linear modes of development are not sufficient or flexible enough to keep up with innovation in mobile hardware, software, and mobile operating systems. Design thinking has grown beyond just a methodology for developing software products and experiences to a means of developing business strategy. 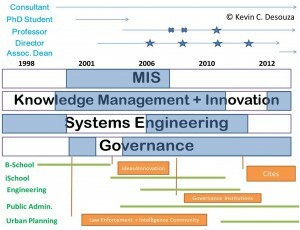 This non-linear mode of strategy development is better suited for mobile strategy because it provides greater insight into the needs and desires of end users, fosters innovative and creative solutions, and provides greater flexibility to adapt to the changing circumstances caused by disruptive forces of the mobile revolution. This enables the Chief Information Officer (CIO) to provide greater leadership in exploiting internal and external opportunities. 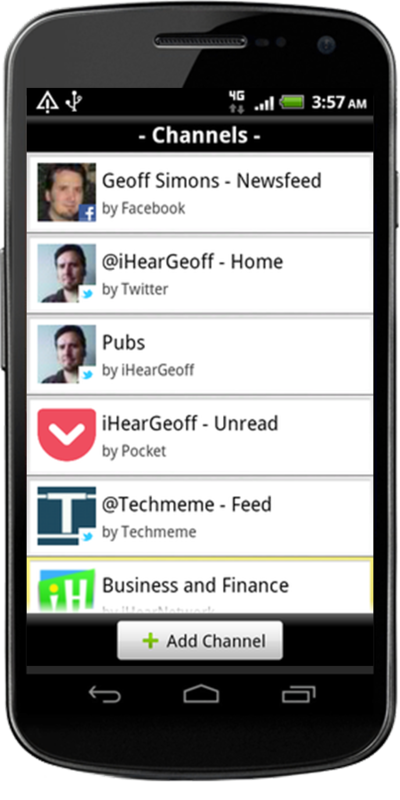 This report provides a number of recommendations to CIOs in mobile app development. 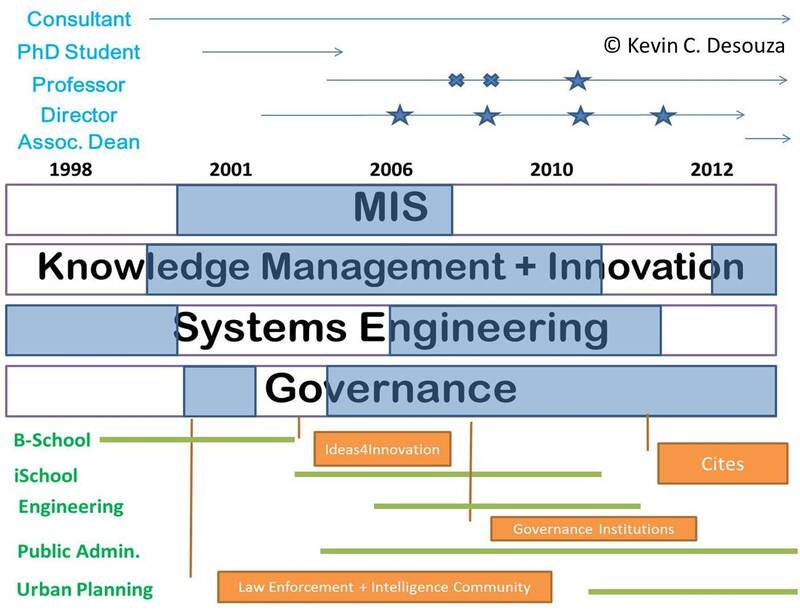 I will be presenting my research on innovation and intrapreneurship to the Advanced Practices Council (APC) of the Society of Information Management. 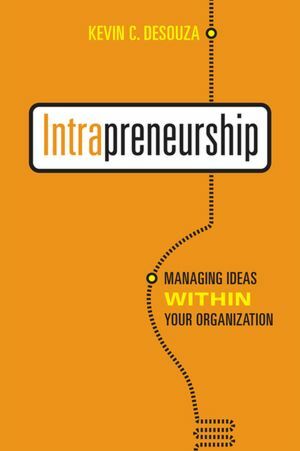 This presentation is based on my recent book, Intrapreneurship: Managing Ideas within Your Organization, and will take place in Atlanta, GA on January 22, 2013. An organization’s ability to compete and continuously renew itself is contingent upon how well it leverages the idea creators in its midst. When organizations fail to leverage their employees' ideas and when employees stumble in their ability to effectively manage those ideas, the loss of energy at all levels – from individuals to organizations and even to society – is tremendous. 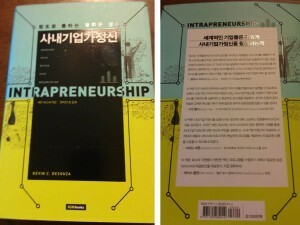 In this presentation, I will outline how to drive change within organizations through a focus on intrapreneurship. Intrapreneurship-focused organizations give employees resources, time, and budgets to work on their own ideas because they know that creating space for their employees to be inventive may yield the most valuable contributions. Moreover, these organizations do not simply give employees space and then forget about them. They know how to hold employees accountable for their ideas, support employees in their efforts to develop and commercialize ideas, and encourage the intrapreneurial spirit. Drawing on my research and experience consulting with thirty global organizations, I outlines ways to manage all types of ideas, including blockbusters with the potential to create radically new external products and services, and more incremental innovations for improving internal processes. With practical frameworks and real life examples for both employees and managers, I will help you to identify the value in your own ideas and those of others to ultimately benefit your organization. In today’s competitive environment, an organization is only as good as its ability to manage ideas. Successful organizations will be able to design, build, implement, and sustain intrapreneurship processes that are superior to those of their competitors. It is through these processes that organizations will be able to act quickly and effectively to introduce new products and services, avoid blind spots, and attract and retain the best minds around. I have been doing some reflection on my research interests and the connections between the various scientific domains in which I work. I will be on a panel, Working on Mars while Living on Earth - Balancing Demands across Disciplinary Boundaries, with Sandeep Purao (Penn State University), Ajay Vinze (Arizona State University), and Steve Sawyer (Syracuse University) at the 22nd Workshop on Information Systems and Technology where I will share some of my lessons learnt in doing interdisciplinary research and holding academic appointments in various disciplinary units from business schools to information schools and urban studies to public administration. 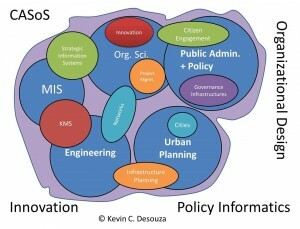 For a sneak preview here is a graphical description of my research spheres. Below is a graphical description of my research trajectory mapped across various dimensions.